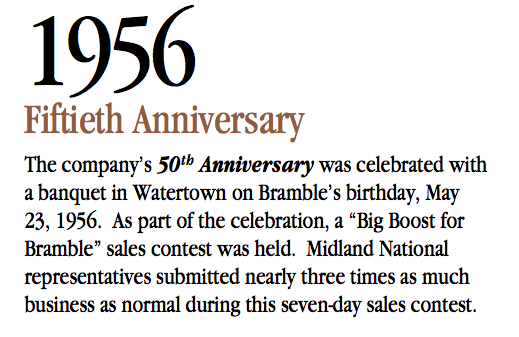 In 1956, Midland National marked the 50th company anniversary. The 50th was celebrated with a banquet in Waterton on Frank Bramble's birthday, May 23, 1956. As part of the celebration, a "Big Boost for Bramble" sales contest was held. 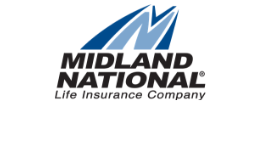 Midland National representatives submitted nearly three times as much business as normal during this seven-day sales contest. 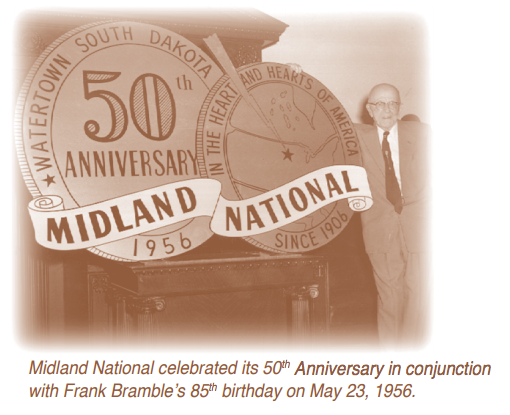 Midland National Celebrated its 50th Anniversary in conjunction with Frank Bramble's 85th birthday on May 23, 1956.